Futures Studies supports organisations in exploring the future and formulating a future-proof strategy. Technologies, such as robotisation and artificial intelligence, are developing too rapidly for traditional methods for strategy formulation. Our approach, based on Futures Studies and Strategic Foresight methodology, is from the future to today and outside in. We share our knowledge in publications, keynote speeches, workshops and consultancy projects. We are regularly approached by the media for interviews, editorials and articles. Click here for our press pages (Dutch only). Our books are only available in Dutch. Please refer to the Dutch section of this website for more information. Professor Wim de Ridder is a futurist. He was Professor of Future Research at the University of Twente from 2002 to 2015. Having trained as an economist, he started his career at the Erasmus University in Rotterdam, before becoming head of Economic Planning at NMB Bank, predecessor of ING. From 1983 to 2007 he was director of the Society and Enterprise Foundation. He is a professional member of the World Future Society. 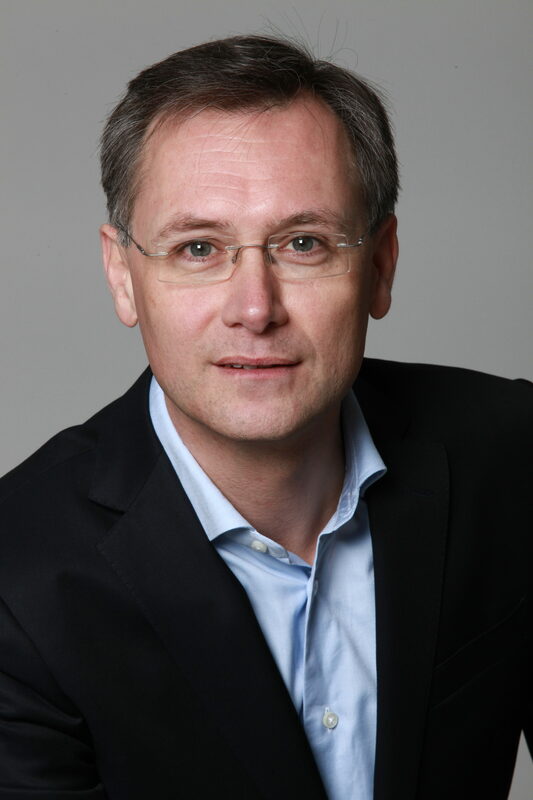 Professor Wim de Ridder published numerous books and articles and is a renowned speaker. His book ‘The Discovery of the Future’, has been elected one of top five leading business books published in the Netherlands in 2014. Willem Peter de Ridder, PhD is a futurist speaker, author and strategy consultant. He published his most recent book, Digital by Default, on strategic management in the digital transformation in 2016. He held management and executive positions at BP and Aegon from 1994 to 2016 and has worked in the Netherlands, South Korea, Poland, the United Kingdom, Ireland and Germany. He studied Business Economics and Modern Japanese Studies at Erasmus University Rotterdam from 1988 to 1994 and was awarded his doctorate degree from the University of Tilburg in 2006. Each presentation is tailored to the purpose of your meeting and your audience. Click here for a selection of our recent keynote speeches (in Dutch and English). For more information and bookings you can reach us via email or by phone on +31 (0)6 27076672. Click here for more details about our keynote topics (in Dutch). In all industries technologies such as robotics, artificial intelligence, the Internet of Things, self-driving cars, 3D printing, solar energy, nanotechnology, biotechnology, energy storage and quantum computing lead to new products, new production methods and new business models. The Drivers of Change workshop is designed for organisations who want a better understanding of technological and social developments, as well as assess their own position. Which driving forces of change are relevant to us? What will be the main sources of revenue in 5 years’ time? Which innovations allow us to differentiate ourselves from the competition? Do new business models exist? When is it best to ‘wait and see’ and where should we invest today? Future vision. What are the key changes within our immediate environment? How pressing are they? Impact. What are the opportunities and dangers for our organisation? Is the impact limited, gradual or disruptive? Management. Which actions should we take? Will our stakeholders react with enthusiasm? For managers, this workshop offers an opportunity to gain extensive support for strategic change within their organisation and to develop a shared sense of urgency. The workshop runs for half a day (approximately 3-4 hours). Is your strategy future-proof? And is your organisation future-ready? In a collaborative process, we help organisations prepare for the future with trend research, scenario planning and roadmaps for the transformation of the organisation. Each strategic roadmap for the future is different. Every project is tailored to your specific requirements. What will the world look like in 5 to 15 years? Technology is developing rapidly, former business models no longer work and existing organisations experience the consequences of all of these developments as disruptive. We map not only the trends, but also the less visible, emerging issues and drivers of change, based on data, facts and international research. Scenario planning provides insight in alternative future outcomes. What is the impact on your organisation? How well do your plans fit market requirements and the needs of your end consumer? We assess the driving (and restraining) forces and analyse which market trends are inevitable and where there is room to to shape the future. A strategic roadmap is designed from the future to today. How does the organisation need to transform? What approach do the most progressive and distinctive companies employ? Which business models and innovations are successful? Which choices should you make and what are the consequences of these for your stakeholders? All our services are subject to our general terms and conditions and privacy statement (in Dutch only).